With every wound they inflict. The spirit of 'Mumbai' will always exist.
" In the memory of all those who are showering strength from heavens above." 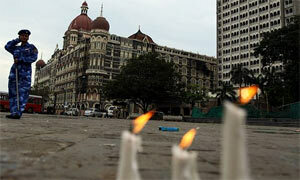 "A tribute on the third anniversary of 26/11." Saru, A fitting tribute to those who still put a spirited fight and have a 'never die spirit'. May the scourge end soon! Thanks for writing this post...reminded me fo the dreadful 2 days when each one of us mumbaikar suffered. Touching tribute! Let's pray for them! Hope such day never come . Hope peace prevail all over the world . A touching tribute Saru... Let them rest in peace! Yeah salute to that spirit...a solemn moment to remember those lives. sorry...but another tribute and all there mite be is another bunch of candles. kasab is still a beloved guest of our beloved state. some more people need to slapped...a lot more! Sadly, there might never be peace in our time. We live in a world where there exists fanatics who do not value the gift of life. God Bless their Souls...No matter what, Mumbai will move on.Kudos to the spirit of Mumbai, the spirit of Life! "No matter how hard they try to break us, The spirit of Mumbai always exists". Wonderful lines. My heart goes out to all those who have lost their near and dear ones. An irreparable loss. May all their souls rest in peace. I fully subscribe to your sentiments. 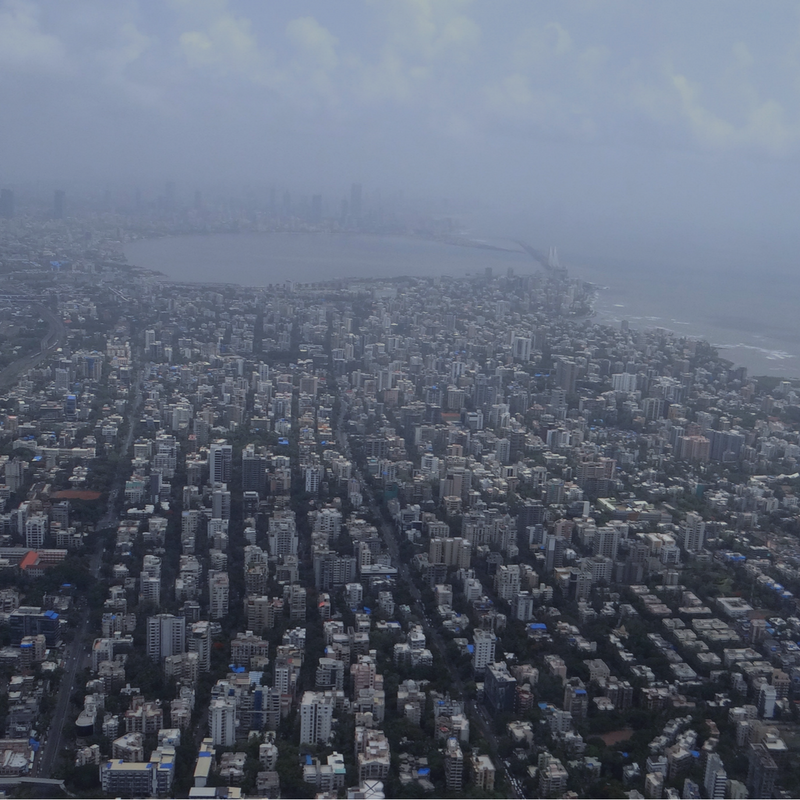 The spirit of Mumbai has stood the test of time. But the spirit has started flagging now as was evident recently when two youngster who accosted an eve teaser gang were brutally killed while the public watched and no one came for the rescue. very well written saru. Awesome. Oh!,very thoughtful act!,Luvly tribute to the parted souls. Saru, the spirit of Mumbai will live forever!! :) What we also need now is justice for the people who suffered in the attacks..
Super Like! Love the words..
How easily it was forgotten. You brought back the memory in a positive way-"showering strength from above"
The spirit definitely speaks for itself Di!! Somehow I fail to recognise the 'spirit' after a few days of the attack...it vanishes into thin air Saru. their family that lives in grief, the rescue team and all those who helped us outlive the tragedy. Appropriate move to mark in memory..
with nobility & humanity.Good! Saru..
bahut sad day tha ........bahut dard bhi hum wahin the jab... sab aankho ke samne aa jata hai ....:(. bahut mushkile aayi thi .............words nahi hai kuch kahane ke liye .god ne hum par kripa dikhai . How long are we going to praise the Mumbai's spirit ??? The reality is that Mumbai has no option but to stand up & go to work..And what about that cruel guy Kasab ? Will he ever get punished ? There are no words that can describe the loss of life, the loss of trust, and the peace that those days gifted us with, yet you have been able to write these powerful heartfelt lines. While the answer to violence can never be violence, I wonder if we are too resilient, too spirited, and too accepting. We have become immune to the joke that public life is all around us. We continue to elect corrupt and criminal public representatives, we continue to portray women as objects, and we continue to teach our children with our example that nothing matters other than material success. We accept Manu Sharmas, Ajmal Kasabs, Narendra Modis and Uma Bharatis. All we want after the blood is on the street is that someone appreciates our never-say-die spirit, our resilience, our ability to bounce back and continue accepting the hypocrisy within our selves. Incidents like 26/11 should make us look within ourselves to end the discrimination and inequities that we carry within our selves. Got carried away, but my backspace button has other work to do. It needs to backspace on the violence and bias that I carry within me. Thanks for waking me up, Saru. Beautifully penned!!! loved the way you have exuded the strength of Mumbaikaars. Very intense, Saru! You have conveyed the spirit of Mumbai in a beautiful way. salute to all the martyrs. Very touching tribute. My prayers are with the families of all the great martyrs who laid down their lives for our safety and security. Love this post, Saru. The photo is very significant. Your line too. A wonderful tribute to a lingering Pain! Lovely post... even though it's based on a tragedy.. it's beautiful! that was so touching and well penned saru . . I was not there when it happened and I still feel that I belong somewhere there. Nicely written Saru. I still remember the day when we got the news about the mumbai blast. Only Mother India knows how she's tolerating all these things. A real tribute to all 26/11 victims will be completed on a day when all people responsible for the attack will be punished. yep, the spirit of mumbai will always exist! Celebrate Life and Love. Hope peace prevails. May the people of Mumbai always have this spirit. Great tribute to all those who lost their lives in that disaster. Beautifully written. It did, it does and it shall exist! A poignant reminder of that faithful day. We shall never forget. Nice tribute to the spirit of mumbai... I only hope that it never happens again, not in mumbai, not in any part of the world! You Might Also Like section brings me to this page. Nice Post I would say, being a Mumbai-kar.. :) thanks for writing something bout us, being miles away! Its time we answer back ! the scream of death and the way it pains. for how long shall we light candles ? for how long shall we pardon the sinners ? and how long shall we allow the blunder..
for one day, it will explode..
so why not today , why not now ? show them we too punish and show them how ! between the people who lost their own..
coz since that black day,each moment,it has grown ! I beg to differ. The "spirit of Mumbai" is no more than the 'majburi' of Mumbai to keep earning its bread and butter even though there are deadbodies strewn around. all what left is dates and memories.